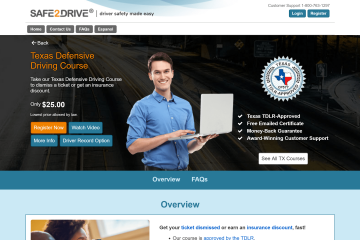 Based out of Austin, Texas Aceable Drivers Ed began just recently as a tiny start-up with a revolutionary idea. Their plan was to be the first company to offer Texas teen drivers ed in the form of a mobile app. They figured since teens spend a large portion of their waking hours on their phones, why not give them something useful to do with their time? Their bet paid off, and soon the company expanded their drivers ed app to California, Florida, Georgia, Illinois, Nevada, Ohio, Oklahoma, and Pennsylvania. 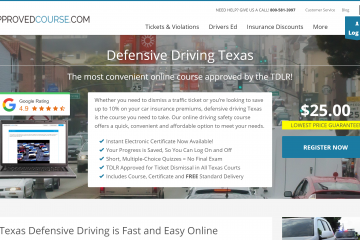 In addition to drivers ed, Aceable.com also offers defensive driving in multiple states and has expanded to decidedly non-driving arenas such as real estate. Aceable is all about making education accessible to everyone, believing no one should be prevented access from education due to circumstance, cost, or other factors. 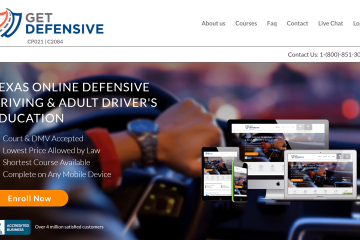 One of the major features of Aceable Drivers Ed’s online course is that it offers a parent taught driver’s education course (in Texas and Oklahoma); completely online and available through their first of it’s kind driver’s ed mobile app! This is especially convenient due to the rapid advancements in mobile technology. We all know the feeling of having to sit at our local Department of Public Safety office and wait in long lines, and perhaps even use computers there to take courses and to complete testing. This type of mobile-friendly course allows you to totally skip out on the line at your Department of Public Safety office. Doesn’t that just sound amazing? Let’s take a look at everything they offer in a brief overview, then we will talk about what you need to do to get started with this course. Now let’s take a look at the driver’s side of things for Aceable Drivers Ed. The driving courses offered by this company are many, and they are all aimed at one thing; saving you time and money! They aim to achieve this by being fully mobile and online, which is quite convenient if you, for example, are trying to get your driver’s license but don’t have the time to go sit in a class. 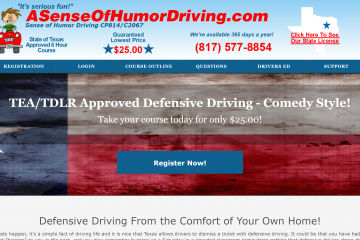 If you’re looking to get your driver’s license, take a defensive driving course to lower your insurance costs or dismiss a ticket, teach your teen how to drive, or take a drug and alcohol test in the state of Florida, then these courses are for you! 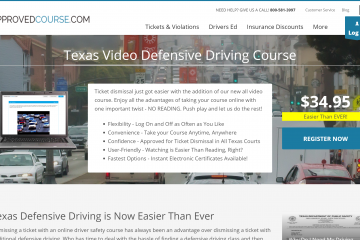 In addition to simply having to take a defensive driving course for a ticket dismissal, you can also take one of these courses to lower the premium on your car insurance. This is because, essentially, it makes you less of a risk on the road. Think about it; the more that you are educated on safe defensive driving, the less likely you are to have an accident, and in turn, the less of a risk you become to the insurance company. That is how they are able to offer a lower monthly and or yearly premium to you. 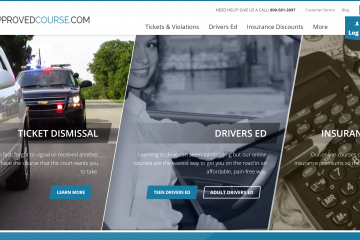 What’s New with the Company Behind Aceable Drivers Ed? 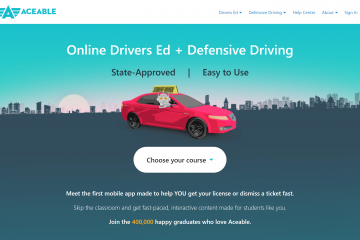 Aceable, the company behind Aceable Drivers Ed isn’t stopping with driving courses. While the driving side of things including defensive driving courses, adult drivers ed, parent-taught drivers ed, etc is thriving, they also operate in the real estate education space. AceableAgent includes the real estate courses that we mentioned earlier like real estate pre-license education, and real estate continuing education. Let’s take a brief look at the real estate side of things first before plunging into driving courses land. With AceableAgent, you can either obtain or renew a real estate license online, and not only just online, but on any device that you have whether that is a laptop, smartphone, desktop computer, or tablet. Pretty cool, huh? Not only is it state approved, but it has one of the highest percentage of people passing exams of all of the other companies. The content is highly engaging and very often updated, so it’s guaranteed to be fresh material to work with and keep you from being bored. In addition, it is also TREC (Texas Real Estate Commission) approved. In order to get your real estate license, you must first go through the courses. This is a huge time commitment and should not be taken lightly. Most people tend to kind of fade out at this point. That is why the content of a course is so important in order to keep your mind active, and it always helps to have a little bit of humor added to the course as well. AceableAgent offers all six of the courses (30-hours each) that you will need before you obtain your real estate license in the state of Texas. These courses are as follows: Principles of Real Estate (I & II), Law of Contracts, Law of Agency, Promulgated Contracts, and Real Estate Finance. At over 180 hours, this is a ton of content. The course fee is quite reasonable for this amount of content sitting at around $500 on sale. Not only is there a comprehensive exam prep guide provided with this course, but also a nifty pre-license mobile app that will help you take your pre-license course on your mobile device (which is super convenient), a really good customer support team with instructor support that is available even on the weekends, and quite possibly the most convenient part of this course is the money-back-guarantee. They give you three attempts to fly through the course with a passing grade, or they will give you your money back. You can’t beat that! Further than this, the course is focused not only on helping you simply pass the test, but helping you potentially be a better real estate agent as well. It will not only allow you to obtain your license but teach you how to sell more homes, which is the whole point anyways, right? First, you will want to find the appropriate course. Then simply click on the “get started” button. The process to sign up is super simple: first you type in your first name and email address, type in your payment method information (even PayPal is accepted!) and then you can begin the course. How easy is that? This is a very convenient process and doesn’t take any time at all. With Aceable Drivers Ed you can achieve all of your driving dreams! 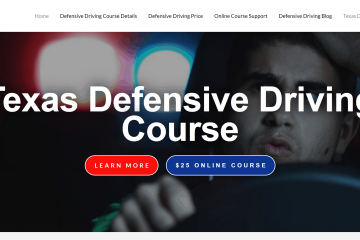 In addition to this driving course, there are also several other courses available on the web, and just as is true with anything, it is always a good idea to do some research into what courses might best fit your needs. Aceable Drivers Ed might be the best fit for you if you need everything to not only be online but also right on the mobile device of your choice. Finally, for fun, and on a side note, in case you are looking for some driving courses that are all about going fast, literally (as in learning to drive sports cars), then check out this cool article by Autoweek.com. The majority of the negative reviews we found online were complaints about content and rules that are out of Aceable's control as they are all tied to state regulations. Aceable is on the leading edge of online learning. They focus on taking mandatory courses in a variety of industries and presenting them in new and exciting ways. With a focus on retention, Aceable strives to designs courses that help everyone gain the knowledge they need, and remember it after the test!